In life, there are certain situations that can make it difficult to get around your home. The mission of Aging in Place is to provide the resources necessary so people can stay in their homes, no matter what life throws at them. 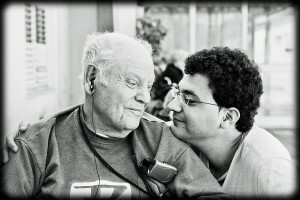 Some people who begin to think about initiatives to make it possible for seniors to stay in their homes are adults in the “sandwich generation”. People that fall into this category have their own children at home as well as parents who are beginning to require extra care. If you fall into this category, the holidays are a great time to assess whether or not your aging parents need some extra help to stay at home. The Chuba Company can help create an Aging in Place home. We can help make homes more convenient for individuals living in the Elk River and northwestern Minneapolis metro area. If you want to learn more about the options available to your aging parents, contact us to see if this solution is right for them. Connect with us on Facebook, Pinterest, and Houzz to see our past projects and to learn about the many ways you can improve your home!